Finally some minutes on the workbench yet. I' am about to build some of the scaffoldings used for maintaining the gears on the quayside. 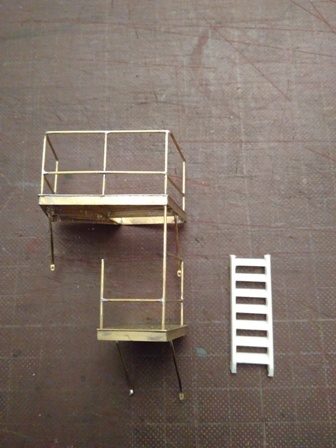 Concerning the ladders (or better stairways) I hoped to use some commerciel products in 1/50 scale. As you may see, that doesen't match at all! Does anybody has a clever hint how soldering together something like that? Looking at the level of perfection that you have already achieved with your own hands, I doubt that there is anything in the market that could hold a candle to your work. Have you tried using one of the air soldering stations? they are amazing. 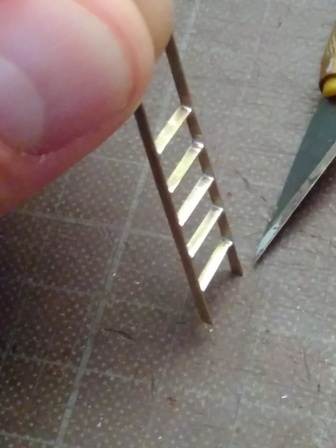 assemble the work and hold it together with some pins use liquid cleaning type flux and flatten some tin solder so that is is like a foil 1/32 x .010 drape some short length over the ends of the treads play the heat gently on the opposite side and watch it flow together. I've had very good results using a jeweler's soldering pad, solder paste, and SWMBO's oven when she isn't home. Pin the assembly to the heat resistant pad over a piece of baker's parchment (to help protect the pad from the flux), apply the solder paste sparingly to the parts, and bake. You then turn the oven off and wait. 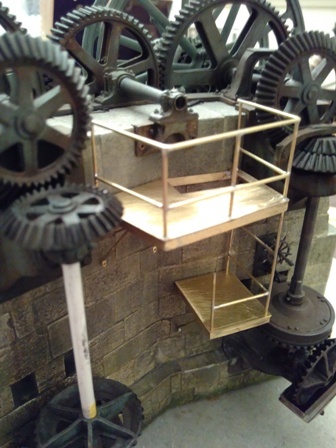 Many sub-assemblies used in the manufacture of brass models from the far east are made in similar fashion. BTW, surface mounted electronic chips can be soldered on the stove top in a frying pan or in a toaster oven on a small slab of metal. Why not solder it piece by piece? First the bigger parts, thrn the small ones. Protecting the finished soldering areas with toothpaste helps to deflect heat and so does a piece of handkerchief drenched with water. An RSU would work fine, too. I solder a lot of different things but I'm no expert. However I would suggest a resistance soldering unit and wet paper towels on completed joints or close pins. I use close pins a lot for soldering and often modify them. When doing some sorts of delicate work, it is easier to pin assemblies together add a tiny amount of Rio Grande Jewelry supply's 430 solder to the joints and bake. 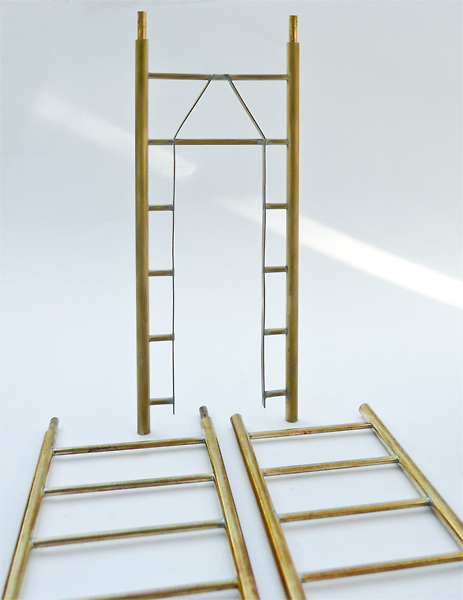 If you have a number of small joins to make as on a 1:48 scale fire escape ladder, even a resistance setup might give you fits trying to add a connection without the one next to it falling apart. 430 solder comes in a syringe and can be applied in truly tiny amounts. I have no connection with Rio Grande Jewelry Supply other then a regularly anemic credit card. Not the only way to do a complicated job, but a trick to have in your pocket when you need it. 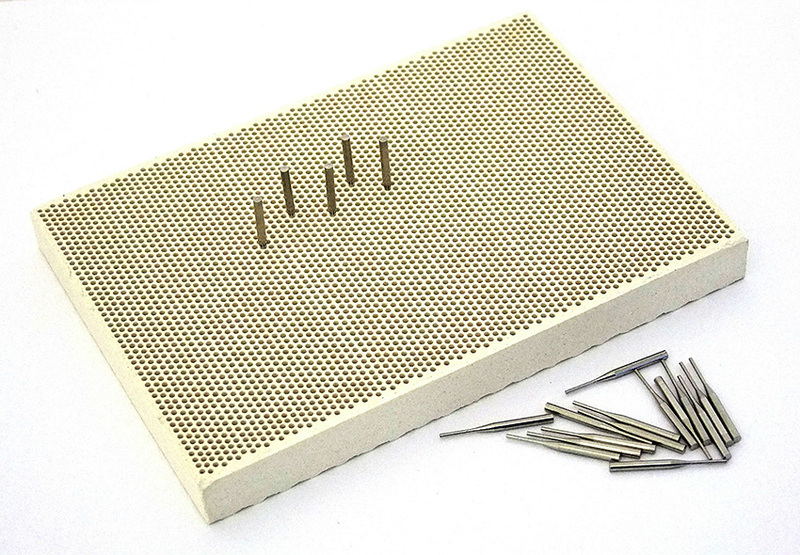 What kind of soldering pad do you use that can have pins stuck into it? Thank you very much for all your thoughts. Your proposals have many good ideas including an air soldering station. Working on a desk with minimum of equipment I have never heard of that. But especially this caught my attention and in the meantime I have googled around a lot. I think I will order one soon, particularly in view of a future project, that surely will be made of brass. 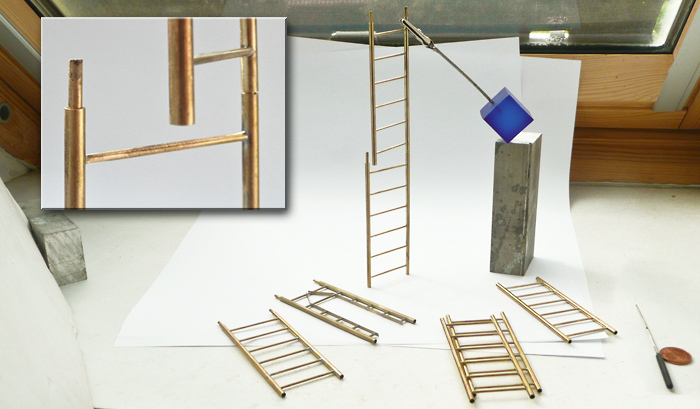 Concerning the ladder I will have to try it the hard way yet: soldering it piece by piece. (Obviously Volker knows my modest resources since he visited me some time ago, that's why he proposes this way ;-) Protecting the finished soldering areas with toothpaste is a helpful clue, thanks! 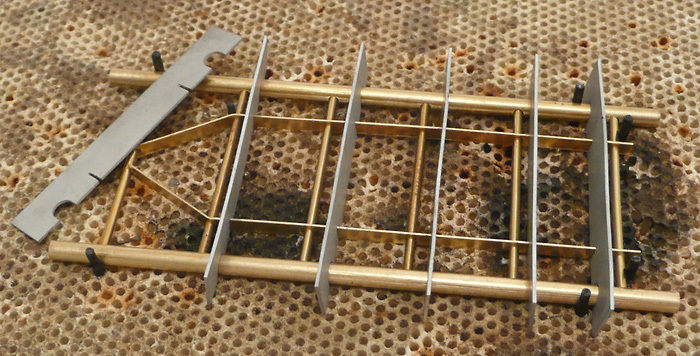 It is often called a honeycomb soldering pad. I have one, and I find it very useful! 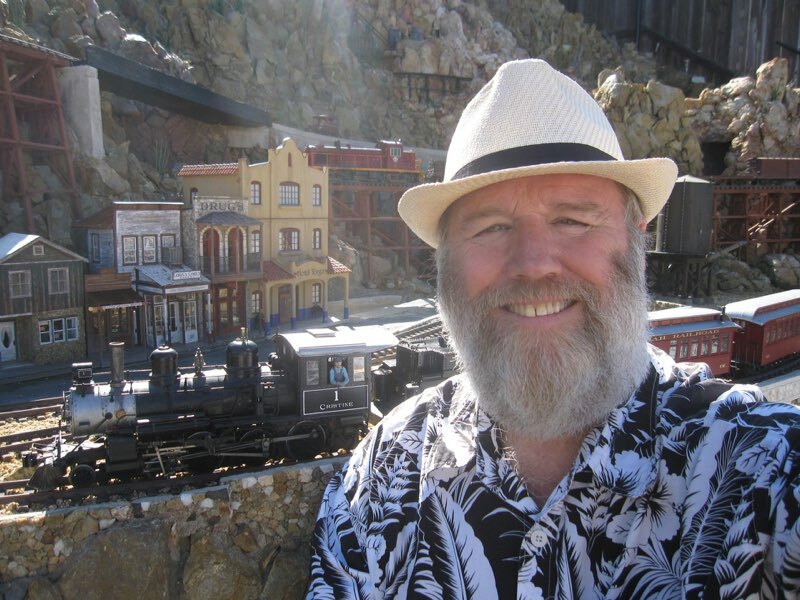 I am always happy about your contributions to this great model! Indeed this soldering pad ist very helpful! Where did yor get your pins, the are a little bit longer? Do you have to align all stairs freehand or are there milled/etched notches in the longer parts? If so I'd mount it with some CA, fix it in between some aluminum angles and then use the flambé torch; Griffon S39 soldering fluid and some solder to get it together.